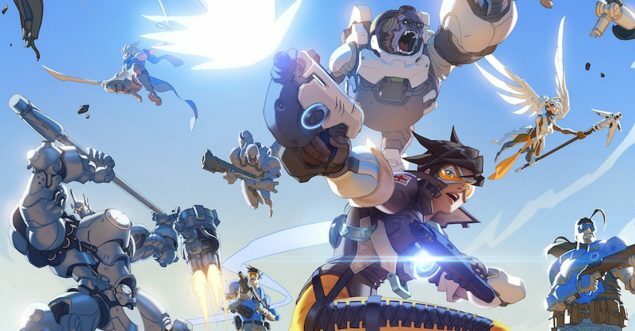 2016 is setting out to be one of the best years in recent gaming history, thanks to the release of several highly anticipated console and PC video games. After quite a long wait, this May players will be able to enjoy titles such as Uncharted 4: A Thief’s End, DOOM, Battleborn, Mirror’s Edge Catalyst and many others. However, very few gamers will be able to enjoy all these potentially great games as soon as they are released, to the detriment of both publishers and consumers. The first three months of the year have been relatively light in terms of video game releases, but this isn’t exactly a surprise. A few high profile titles have been released, such as Capcom’s Street Fighter V, Ubisoft’s Tom Clancy’s The Division and Bandai Namco’s Pokken Tournament, and a few others will be released next month, such as From Software’s Dark Souls 3 and Remedy Entertainment’s Quantum Break. Not counting these titles, the first three months of the year have been relatively empty of AAA release, with remasters and quality indie titles beefing each month’s release schedule, such as the PC release of Dragon’s Dogma: Dark Arisen, the Wii U remaster of The Legend of Zelda: Twilight Princess and the long anticipated puzzle game The Witness, just to name a few. Releasing these titles in months with very little competition definitely paid off. The Witness managed to break $5 million sales in its first week of availability, Tom Clancy’s The Division broke the record for day 1 sales of both physical and digital copies, also managing to have the biggest launch for the first three months of any year in the UK, and both Pokken Tournament and The Legend Of Zelda: Twilight Princess HD managed to sell respectably considering the low Wii U install base. Street Fighter V’s sales have been less than impressive, but that was mostly due to the game’s issues, which the publisher is still trying to fix, rather than to its release window. Would sales have been so good for these games if other high profile titles were launching close by? Most likely not. As players and consumers, we have to make choices all the time. Compared to the first four months of the year, May is literally jam-packed with high profile debuts. Battleborn, Stellaris, Uncharted 4: A Thief’s End, DOOM, Mirror’s Edge Catalyst, Homefront: The Revolution, Total War: Warhammer, Overwatch and Resident Evil: Umbrella Corps are only some of the major titles launching on consoles and PC this May, with remasters such as Valkyria Chronicles Remastered and Dead Island: Definitive Collection and more niche titles such as One Piece: Burning Blood, Sherlock Holmes: The Devil’s Daughter, the Platinum Games developed action game Teenage Mutant Ninja Turtles: Mutants In Manhattan and the indie first person survival game The Solus Project. Making matters worse is the release of the Far Harbor DLC for Fallout 4 and the possible release of the Blood and Wine expansion for The Witcher 3: Wild Hunt, which is expected to launch in the first half of the year. We already know that Far Harbor has the largest size of any DLC produced by Bethesda, while Blood and Wine’s duration has been estimated by CD Projekt to be around 20 hours; if both DLCs were to be released in May, they would certainly take up a lot of any gamer’s time in that month. Let’s take a closer look at this list, day by day. With so many titles launching in the span of just a few days, and with some of them even overlapping one another as far as genre is concerned (most of the games due in May will ask you to shoot things), players will be forced to make a choice due to their available gaming budget and time, which will probably result in lower sales for pretty much all these titles. While it’s true that some of these games will have a long tail and enjoy good sales throughout the year, others may not be doing well in the following months. Such a situation definitely doesn’t benefit neither consumers nor publishers. Publishers, in this regard, are not powerless, but none has taken action so far. 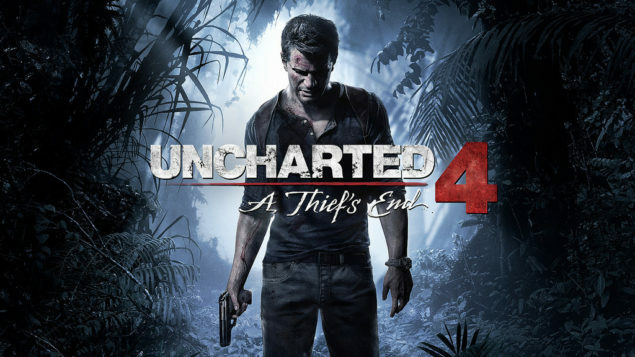 Not counting Uncharted 4: A Thief’s End, where an additional delay might hurt the game more than releasing it during May, most of the other titles could have their release date moved behind or forward to the benefit of all. The second half of April is pretty empty so far, as Dark Souls 3, Quantum Break and Star Fox Zero all release in the first half of the month, so moving a release date slightly ahead might be a reasonable choice. Moving releases around for a variety of reasons is nothing new for publishers: Dark Souls 3 might have even been released this month, if Bandai Namco didn’t decide to postpone the game in the West due to fiscal reasons. In that case, April could have been even more viable for many of the titles launching in May. Even moving some of these games to June might still be a good choice, as no high profile release date is currently scheduled for this month with the exception of No Man’s Sky. Cramped months are nothing new in the video games industry, but it’s something that usually happens toward the beginning of the Christmas shopping season, where consumers are more inclined to spend more. Cramping so many releases in a month where consumers are not used to spend too much, and may not have much disposable income to begin with, is a situation that’s going to hurt all involved parties. Big publishers aren’t going to be damaged too much, that’s for sure, but for smaller ones (who can’t hope to employ huge marketing campaigns) this could be a big problem. With studios with a long and successful history such as Lionhead and Evolution getting closed in recent times, no team is truly safe. For the good health of the video games industry, this must not happen, and a smarter release schedule might do wonders. Hopefully someone will understand this and move their game’s release date accordingly before it’s too late.